After going through a car accident, your mind is liable to be all over the place. You’ve just been through a genuinely traumatic experience. Obviously, the first thing to do is to make sure that you’re safe. Once you’ve ascertained that you’re safe, the next thing to do is to make sure that you get appropriate medical treatment. Call 911, get emergency care. After that, there are other things that the LA Injury Group Los Angeles car accident lawyers and attorneys recommend, if you’re up to it. The one thing you should never do, however, is sign something from an insurance company without your lawyers present. The time right after a car accident is a chaotic one. If you’re injured, you deserve compensation for the pain and suffering that you’ve been through. One way to get that is by hiring the LA Injury Group Los Angeles car accident lawyers and attorneys to take your case. They have plenty of experience with car accident cases, and know exactly what to do to get your recovery that you deserve. They can be on your side, unlike the insurance company. You may think of your insurance company as being on your side, and working on your behalf, but that’s not the case. In fact, your insurance company is just there to make money for themselves. In fact, you having been injured in a car accident means that you are a potential cost. You are potentially keeping them from making the money that they want to make. This is important to keep in mind when in the insurance company sends around an adjuster (or other liaison) who seems like they’re you’re friend. While the person the insurance company sends over may seem like the best person you’ve met in a while, they really are just there to reduce your recovery. They can do this in a few ways. One particularly pernicious way is that they ask to record you. You don’t have to do this, and indeed, you should never do this. The insurance company employee wants you to say something that can be used against you (like saying “I feel OK” when really, your injuries end up being chronic). Another way the insurance company tries to keep you from getting the money you deserve is by offering you a low ball offer very quickly. See, they try to get to you when you’re vulnerable, right after the accident. They figure that you’ll sign anything, just to see some money, and have something positive in the wake of being injured in a car accident. Indeed, much of their business model depends on this. That’s why you should, once again, for those in the back, never sign something from an insurance company without your lawyer reading it first. Now, it can be particularly difficult to turn down this initial offer when it’s a sizable amount of money. Sometimes, it seems like the insurance company is being very generous in this initial offer, and it might feel like a ton of money, and you could feel like a fool not to take it. However, this means that it’s even more important that you have the Los Angeles car accident lawyers and attorneys at the LA Injury Group look at it. If the insurance company is willing to offer a lot upfront that means that they understand how much your claim could be worth. You deserve all the compensation for what you’ve been through. It’s normal to feel somewhat powerless after being through a car accident. It can seem like there’s nothing you can do to help your case, and that it’s just in the hands of your attorneys. However, there are things you can do to help your eventual case, so that you can ensure that you and your family get all the money they’re entitled to. In fact, it can even feel a bit therapeutic to do something about your own case, as it feels good to help yourself to move through the trauma. One of the first, most important things you can do to help your case when you have a moment is to write everything down. Anything you can remember, get it down on paper. Don’t feel like you have to write it out by hand, you can open a document on your computer and type it there. If you don’t like typing, you can have a friend or loved one do it, or even find a “talk to type” program. It can be an invaluable boon to your Los Angeles car accident lawyers and attorneys if you make a detailed summary of your injuries, the accident itself, and how both have impacted your daily life, beat by beat. It’s important to keep in mind that you can’t make these notes too detailed. If you feel like “I’m writing down too much,” that’s good. That means that you’re probably writing down enough. One of the major reasons for this is that in a few months (or even more than few months, maybe six to ten months later) you’re going to have to put all of the facts together in a compensation demand. Maybe you won’t remember them so clearly. Having them on paper makes it easier to remember them later. Everyone believes they have a good memory, and maybe you do. However, no one has a perfect memory. In something as important as a car accident case, you don’t want to leave anything to change. By writing everything down and documenting it thoroughly, you’re doing a lot to ensure that you and your family get the compensation they deserve. Instead of having to hold onto the thoughts in your head, writing them down makes it easier for everyone. 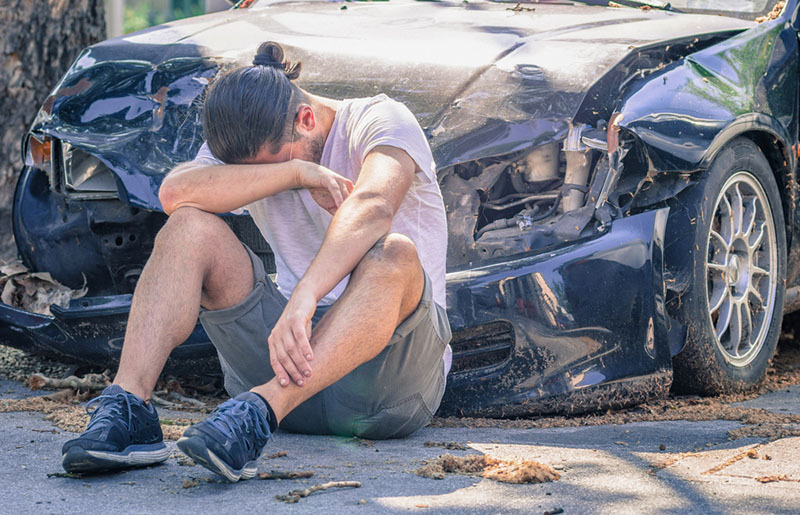 It may be unnatural to write down notes on how everything affects you after a car accident injury, but it’s not that hard to get in the habit. If you’re like most people, you have your phone by you all the time. Whenever you notice something from the injury affect your life, just send yourself an email. It’ll take just a few seconds, but it could end up being worth a lot of money to you later on. Taking notes on all of your injuries and how they affect you can be powerfully compelling for your case. In fact, your injuries are one of the things you should focus on with your notes. Make them as detailed as possible. Explain everything about how your injuries both you. Do they cause daily discomfort? Where? When you do what, specifically? And how does that affect you? Mention every time that pain or anxiety causes something negative in your life: whether it’s decreased performance at work or loss of sleep or everything in between. When it happens, write it down. As the LA Injury Group Los Angeles car accident lawyers and attorneys have seen many times, this kind of note-taking doesn’t just help your case, it can help your life, too. Consider: maybe there’s a tiny bump on your knee. You don’t really think much of it, but you decide to put it in your notes anyway. Then, months later, it swells and becomes a gigantic problem. Your doctors can actually make a better diagnosis from your notes, so they can treat you better. The LA Injury Group has the personal injury lawyers that can help with any kind of injury you might have suffered. Whether you were in a motorcycle accident, bicycle accident, pedestrian accident or any other kind of accident where you might have suffered a personal injury, the LA Injury Group can help. Call (818)210-4558 or go to their Los Angeles car accident lawyers and attorneys site.